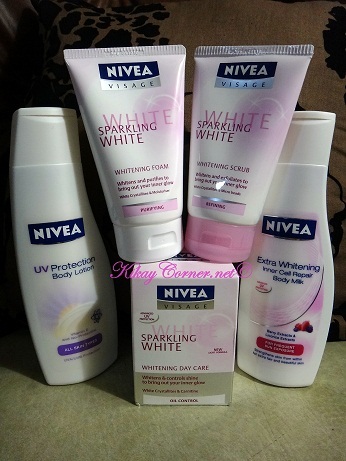 The Nivea Sparkling White range is a complete skin care line and the plan is for me to road test them the soonest! As I have mentioned several times over in my past articles, I was never big on lotion. I easily get bored and it is just something I have always chosen to drop doing ever since I can remember. I am that impatient. But somehow, seeing this as part of my hubby’s routine – it kind of influenced me somehow to incorporate it in mine. And with all these talks about how important moisturizing and applying sunblock on the skin are, I really have got not much of a choice. I am not getting younger, at that. 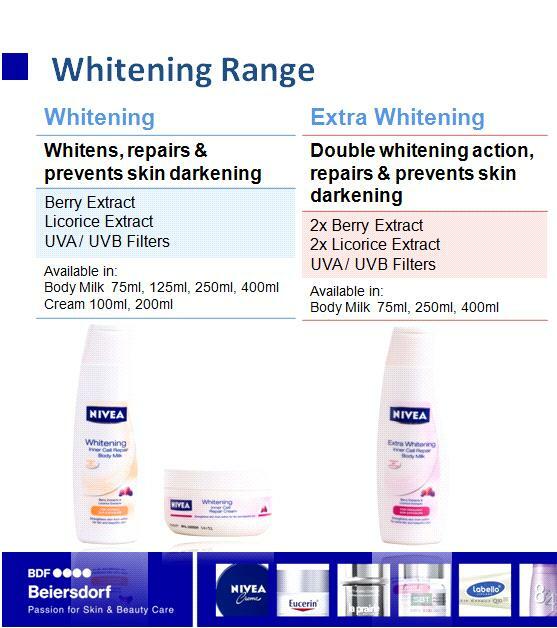 Here are the beauties of the Nivea Sparkling White Range line and the suggested retail prices of each item. I just have to add that they are all very affordable! NIVEA Sparkling White range offers fair and glowing skin and keeps it fair for all skin types (ageing, oily, dry skin). Specifically this hot season where all of us are exposed to the sun, Sparkling UV Blocker maintains glowing white skin – now even with hydration, protection and that oil-free look. Molecules found in the connective tissue of the skin and plays an important role in maintaining volume. With their moisture binding capacity, they plump up the skin from the inside out and make it appear smooth. advanced SPF30 PA++ UVA and UVB filter system protects your skin against the appearance of dark spots due to sun exposure. i really want to try the nivea sparkling white range,but due to lack of budget i can’t continue using it…is that i need to prioritized the needs in our home…but the first i used it,i was really suprised in the effect of the sparkling white range…i love it so much…keep it up…. i tried the Nivea Sparkling White Whitening Scrub. It’s not a good facial scrub. it made my skin sooooo dry, flaky and so rough. I highly suggest GARNIER FACIAL SCRUB instead. I will never ever use Nivea Sparkling White Whitening Scrub. beware ladies, don’t buy this product. it’s a waste of money!!! !